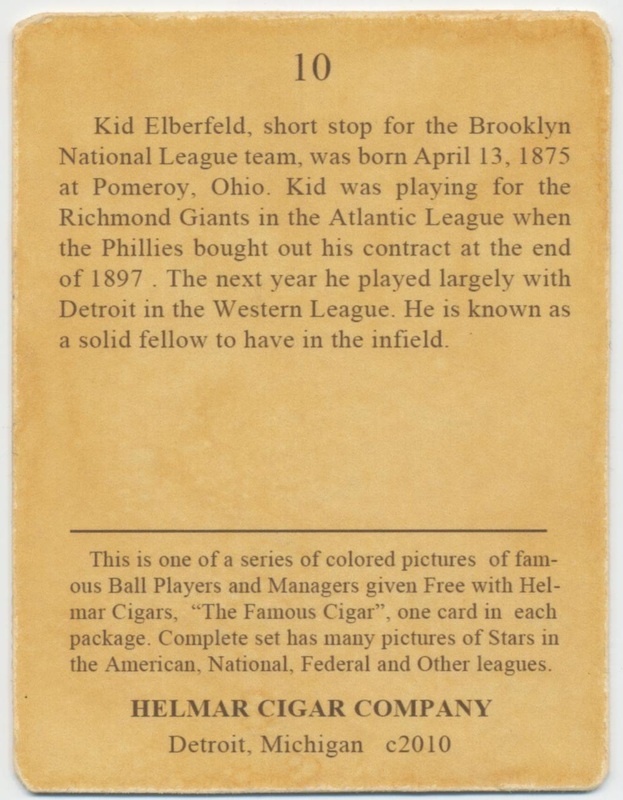 Kid Elberfeld, short stop for the Brooklyn National League team, was born April 13, 1875 at Pomeroy. Ohio. Kid was playing for the Richmond Giants in the Atlantic League when the Phillies bought out his contract at the end of 1897 . 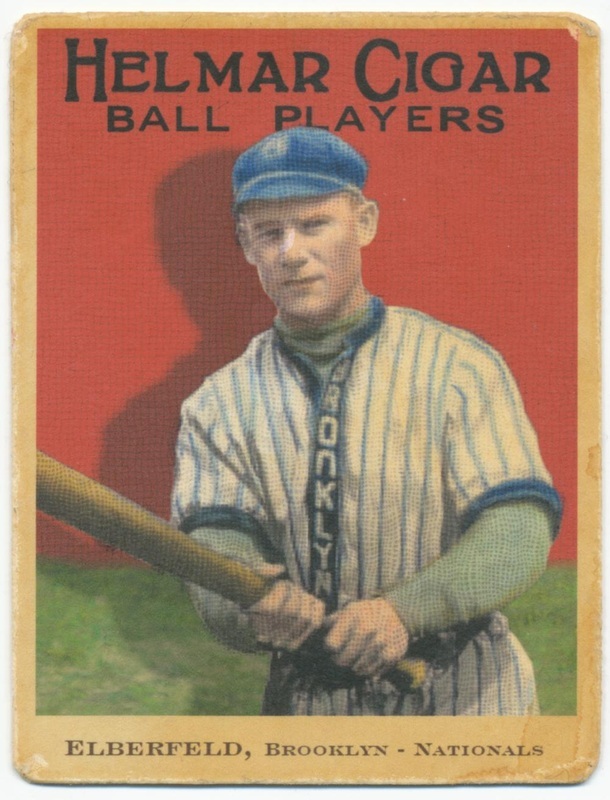 The next year he played largely with Detroit in the Western League. He is known as a solid fellow to have in the infield. 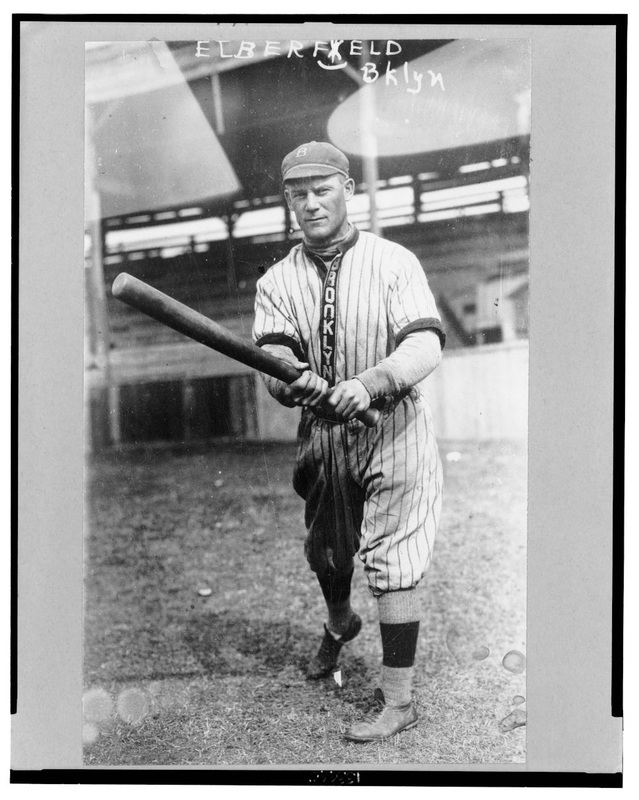 This is one of a series of colored pictures of famous Ball Players and Managers given Free with Helmar Cigars, "The Famous Cigar-. one card in each package. Complete set has many pictures of Stars in the American. National. Federal and Other leagues. This card is part of the E145-Helmar series. Each card is about 2.25" x 3" and there are 104 cards in the set. This E145-Helmar series will not be further extended from that number. The artwork was made using colored pencil and gouache. We are planning to offer a few different cards from the series each week until our supply is exhausted. The total production does not exceed 20 sets. They are available only as singles; never in full sets. This card is based on an 1914 photo from the library of congress.